On Saturday 20 June 2009, Flavasum organised a ‘Love Music, Not Knives’ slot on the main stage at Tottenham Carnival. It brought together three great performers – E.N.V., Black Diamond, and Stallion Solo – and was presented by Kat, best known for his antics on ‘MTV Base’ and Choice FM. 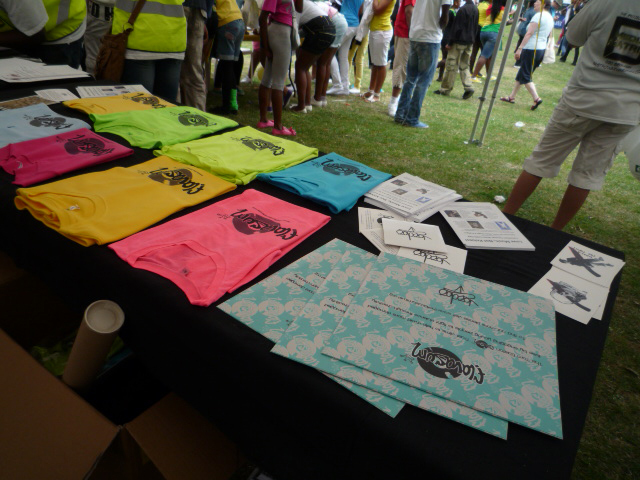 Flavasum also had its own stand, selling T-shirts to raise funds.